Incorporation Attorney - Need help to set up your business the smart way? Contact Incorporation Attorney at (714) 634-4838, California Medium Corporate & Orange County Small Business Legal Services. Incorporation Attorney serves Orange County, California. 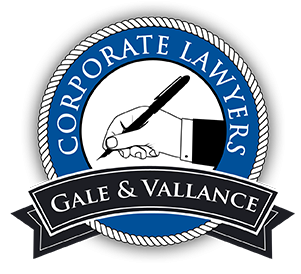 Founded by Andy Gale, a veteran small business attorney who helps companies with the important decisions surrounding incorporation. He had given advice to more than 1000 small business owners on the best ways to set up a company, what types of business entities (corporations, limited liability companies, partnerships) are best suited for them and their small business, how to legally run the business to protect their assets and how to successfully transfer the business to family or key employees through the proper use of estate planning and trusts. Incorporation Attorney currently consists of two lawyers with more than 30 years of legal experience each. Though over the years they have had a larger firm with many more lawyers and assistants, today's legal clients require small efficient law firms made up of highly experienced attorneys who can provide the right advice at the right time for the right money. Incorporation Attorney now focuses on four areas of the law: criminal defense, personal injury, estate planning and all matters related to business. California Small Business Attorney Services, Business Entity Options & Transitions, Transactions & Contracts, Corporate Formalities, Maintenance & Records, California Succession Planning Services.